One of the most spectacular venues in Italy, Arena Di Verona (tel: +39 458 005 151; www.arena.it) is a first-century Roman amphitheatre whose open air shows are some of the finest in the world. Seating 30,000 people, its summer festival includes opera, ballet and concerts. 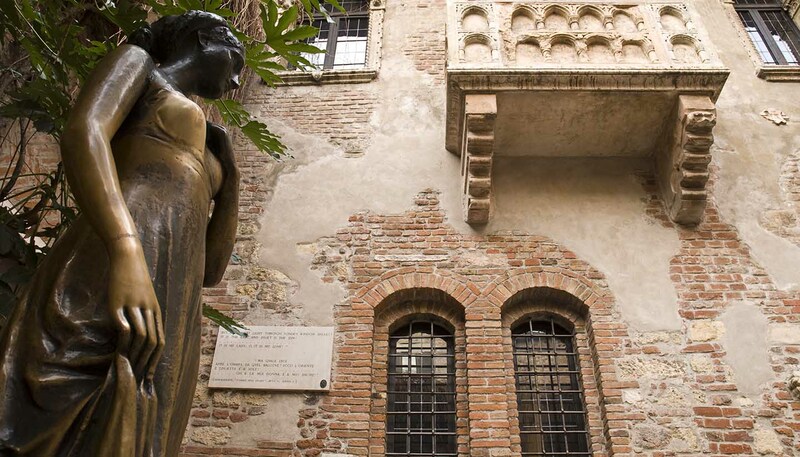 Winter visitors should check out Verona's impressive Teatro Filarmonico. Along with a delightful city centre, Verona is surrounded by a wealth of walking opportunities. For excellent hikes, walk along the shores of Lake Garda, whilst the trek from Il Vittoriale botanical gardens in Gardone Riviera to the Valtenesi vineyards is rewarded with a cold glass of local chiaretto (rosé wine). Nearby Lake Garda encompasses an immense 370 sq km (142 sq miles). The Brenta Dolomites raise to the north, while its southern gentle hills features a Mediterranean microclimate. The vast lake is best explored by boat, so hop on a Navigazione sul Lago di Garda 's (tel: +800 551 801, in Italy only; www.navigazionelaghi.it) ferry and discover its surrounding towns. It doesn't take long to discover that windsurfing is one of the most popular activities on Lake Garda. Blessed with crystal clear water and highly reliable wind conditions, surfers set out from Torbole, Riva del Garda and Garda town. Surf Center Marco Segnana (tel: +39 464 505 963; www.surfsegnana.it) has everything windsurfers require, including beginner lessons. With an abundance of greenery and well-marked paths, the river Adige makes a great two wheel escape from the city - not that central Verona is without its cycling charms. Verona Bike (tel: +800 896 948, in Italy only; www.bikeverona.it), is a bicycle share scheme and is great for gliding between historic sights, especially considering the centre’s traffic restrictions.